NEW SINGLE OUT NOW !! 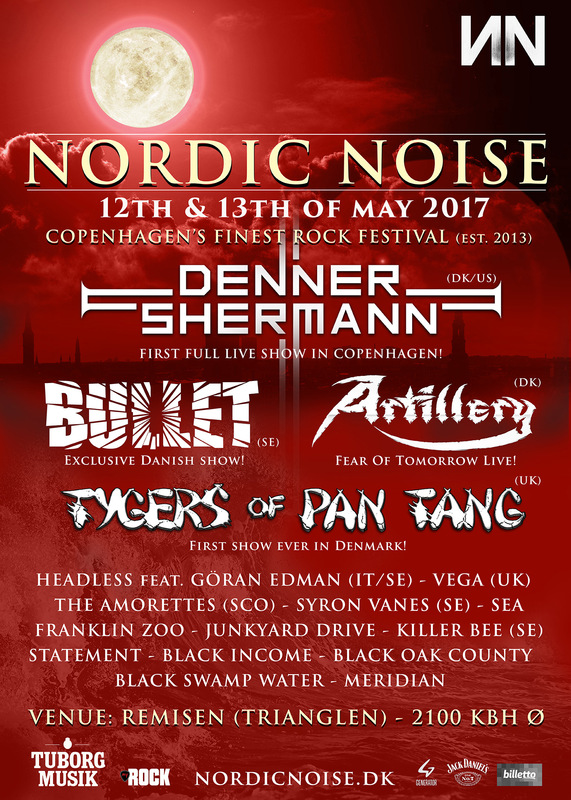 We're playing Nodic Noise Festival this year, along with Denner/Shermann/Bullet and Tigers Of Pan Tang and many more.. Cya up front..!! 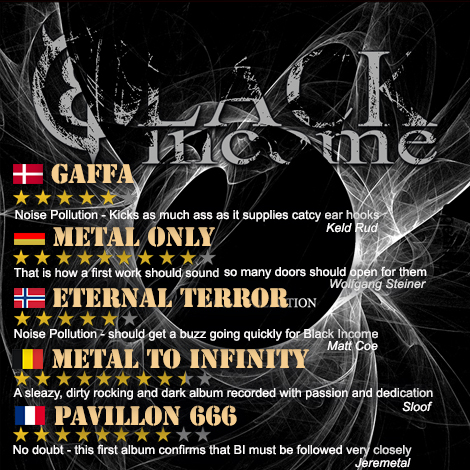 Not only did GAFFA nominate us for Best Hardrock/Metal act in 2016, GAFFA allso praised our debut album "Noise Pollution"
Our debut album "Noise Pollution" has been stared out, by critics and magazines from all over the world, check this Video out. 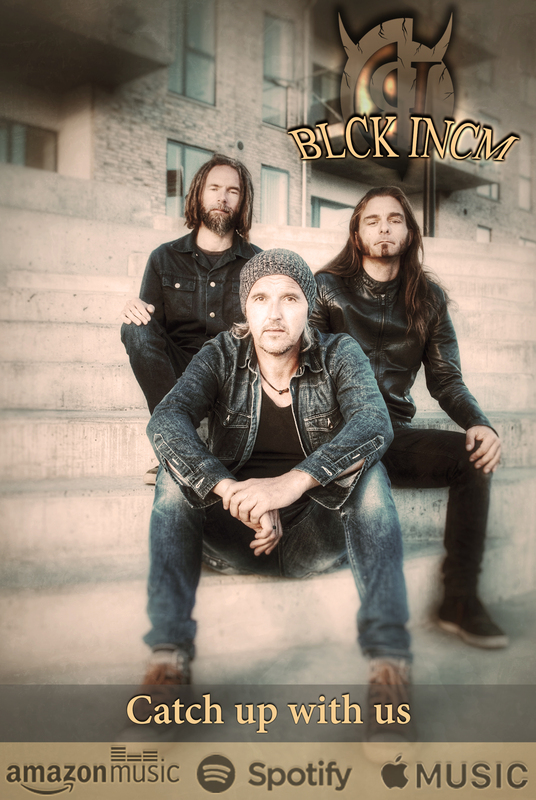 Black Income, is a new Rock identity emerged from the grunge-wave in the 90s, combining elements from Stoner and Fuzz-Rock. 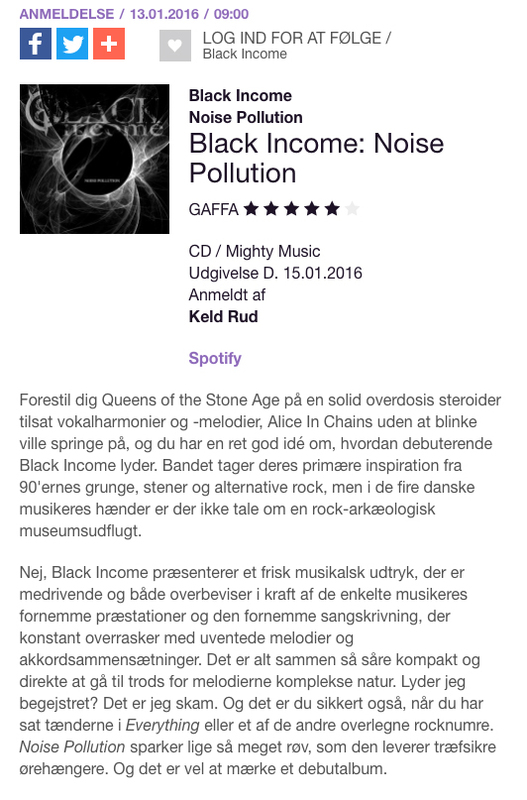 Black Income may be inspired by other acts, but with our own uniq sound and feel. 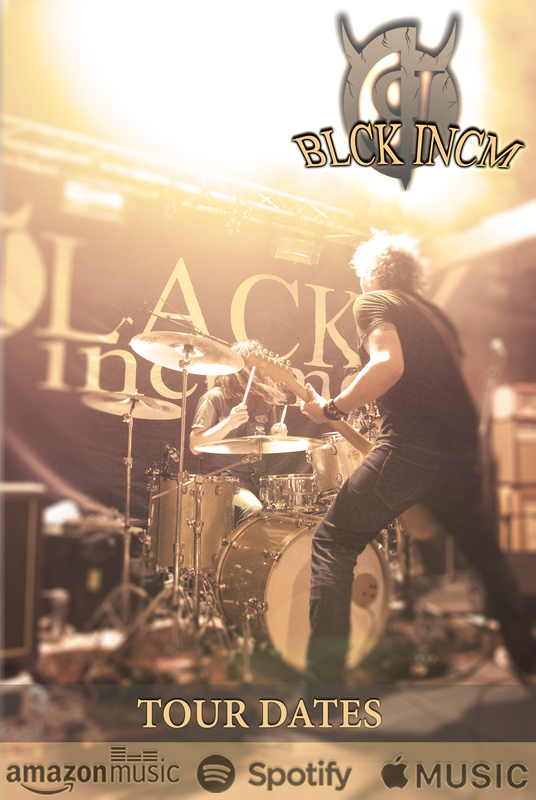 Please hook up with us on facebook, to keep yourself updated..!